West Point Thoroughbreds' Grade 1-winning Ring Weekend has been retired sound following a seventh-place finish in the Grade 2 King Edward Stakes on June 30 at Woodbine and is retraining for a second career with Olympian Phillip Dutton. The 7-year-old Tapit gelding won six graded stakes while under the care of Graham Motion for his entire career. He retires with an overall record of 8-5-4 from 33 starts and earnings of $1,571,576. “While Ring Weekend is still sound and competitive, it's time to hang up his cleats and let him move onto new frontiers,” said West Point president Terry Finley. “The partners and West Point team are forever grateful for him showing up time and time again. He did it the right way for far longer than most of today's horses. 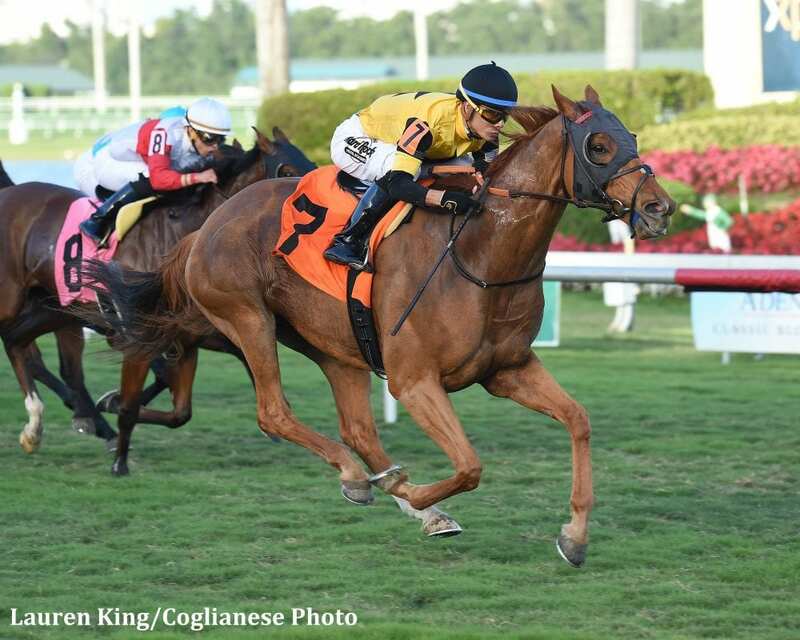 Ring Weekend had a stellar 3-year-old campaign for West Point Thoroughbred and St. Elias Stables, winning the Tampa Bay Derby (G2) on dirt and the Saranac Stakes (G3) and Hill Prince Stakes (G3) on turf. He started his 4-year-old campaign with a win in the Frank E. Kilroe Mile (G1) at Santa Anita before being sidelined for over a year due to a foot abscess. The gelding returned to finish second in the Dixie Stakes (G2) and went on to win the Bernard Baruch Stakes (G2) at Saratoga and the Seabiscuit Handicap (G2) at Del Mar. Dutton was part of Ring Weekend's partnership (and on hand for the gelding's most recent win on February 11 at Gulfstream). Ring Weekend moved to Dutton's West Grove, Pennsylvania, farm in early July and has already tried his hand over a few jumps. Other Motion trainees to transition to second careers under Dutton include Sea of Clouds, Quadrivium, Water Cube, and most notably 2014 America's Most Wanted Thoroughbred winner Icabad Crane. Dutton has piloted ex-racehorses Truluck and The Foreman around some of the world's most prestigious events. Bred in Kentucky by Gainesway, Ring Weekend is out of the Cryptoclearance mare Free the Magic. West Point Thoroughbreds and St. Elias purchased him from Gainesway for $310,000 at the 2011 Keeneland September Yearling Sale. This entry was posted in Bloodstock, NL List and tagged anita motion, Graham Motion, Phillip Dutton, Ring Weekend, Thoroughbred aftercare, thoroughbred retirement by Press Release. Bookmark the permalink.